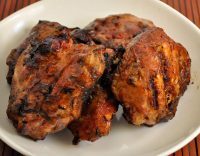 This is one of my barbecued chicken recipes. I have quite a few…. As I’m sure most Americans with a grill do. 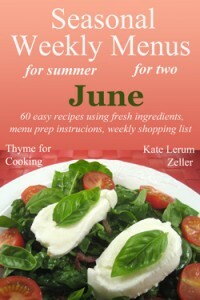 It is classic summer cooking after all. I don’t give specific times for cooking the chicken. It depends on the type of grill (gas? charcoal? something else?) and the type of cook (high heat with constant monitoring? indirect heat with an occasional peak?). Mon mari does the outdoor cooking chez nous. He’s middle of the road, grill-wise. He does the chicken on charcoal, indirect heat and checks it every 10 minutes or so. Chicken thighs take him between 35 and 40 minutes. The sauce for these is particularly easy – no cooking required. chicken thighs, as many as you like to eat… We cooked 5. Check periodically – if any pieces flare up just move around a bit. An instant-read or remote read meat thermometer is a great help. After about 20 minutes start basting with barbecue sauce (if you do it earlier the sauce may burn). I always put 2/3’s of the sauce in a separate small bowl to be used for dipping at the table before mon mari starts the basting. Chicken will be done at 170F or when it is no longer pink and the juices run clear when pierced with a knife. Try not to cook it too long or it will be dry. The hummingbird hawk-moth wasn’t the only happy flying insect when I was out with my camera the other day. 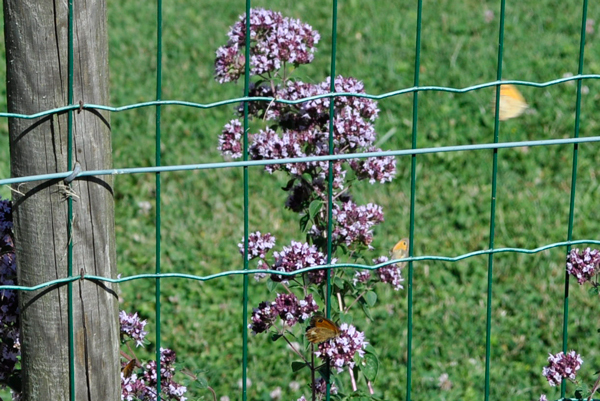 The marjoram, mint and lavender all have pretty purple flowers at the moment. 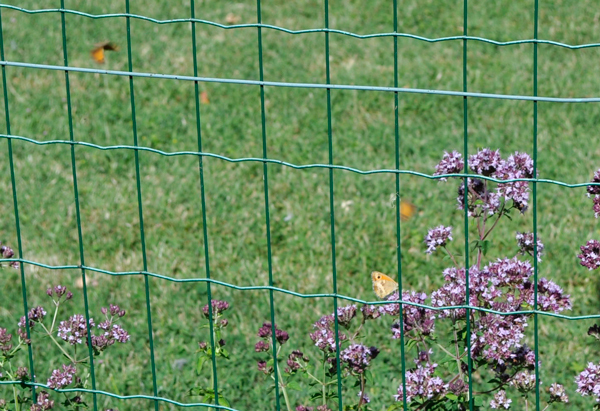 Like the hummingbird moth, butterflies are not easy to photograph mid-flight. Especially not these little cuties….. But it is fun to walk among them as they flutter by….. Funny – and I can’t get mine to use the smoker anymore. He used to love it. Now he says it’s too much work. We’re both getting lazy, Hmmmm I need to make some smoked pasta! And smoked salmon. And…. I think someone said never work with birds or butterflies !!! !